Now days, most people have HVAC ductless heating & cooling systems installed in their houses. That is because HVAC ductless heating & cooling systems are much more efficient and cost effective as compared to regular heating and cooling systems. 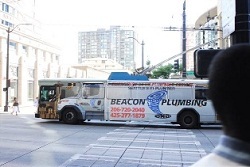 Beacon Plumbing is a plumbing company which was launched in 1999. We are now one of the best companies which installs HVAC ductless heating & cooling in Sammamish, WA area. A normal air conditioning or heating system will force out air through ducts which is not the case with the HVAC ductless heating & cooling system. A HVAC ductless heating & cooling system does not take up much space, which is why it is easy to install almost anywhere. Allows cooling or heating in different zones. We offer our services for the installation of ductless heat pump for Sammamish residents. One main benefit of the ductless heat pump is that it has a controlling mechanism which allows it to speed up or slow down automatically, based on the needs of the system. Unlike a normal duct pump, this ductless heat pump will not shut down totally. It is because of this automatic slowing down and speeding up in the ductless heat pump that it consumes less energy, since the compressor does not shut down totally. The ductless heat pump does require maintenance since too much debris can hinder working. We offer to install, service and clean such ductless heat pumps. What every house needs, be it new or old, is a new ductless furnace. Since this technology is catching up, we have received a lot of requests for the installation of a new ductless furnace from Sammamish residents. The reason most people want to install a new ductless furnace in their home is because of convenience. A new ductless furnace can be installed easily and in any space. You can place your new ductless furnace in the garage, in the kitchen or even in your bedroom. It will provide comfort to you in every place! If you’re looking to install a new ductless furnace in the Sammamish area, then Beacon Plumbing is the place for you. Call us on (425) 679-9500.